Li Kang Biomedical operational team is fully aware of the importance of “Sales Channel” for every company. After remodeling the core value of the company and reviewing core technique, we have chosen the more decentralized channels, which are “Tourism Factory”, ”Telemarketing” and “Chain Store of Traditional Chinese Medicine Pharmacy”, as the main operation scheme and see ourselves as a “professional channel operator”. As the lifestyle in two-day weekend has been shaped in these years, the mode of living has changed and people have clear demands for travelling. Additionally, with the changes in Taiwan’s industrial structure, the conventional factories based on manufacturing industry were languished or migrated abroad. However, due to industrial culture inheritance, profit increase or corporate image remodeling of the business activities, there was an imperative necessity for business transformation. Consequently, the service-based tourism industry has been rising. 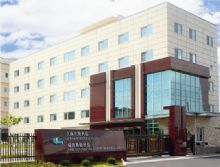 In 2003, the government followed the successful examples in foreign countries, such as combining tourism with crystals and fine wines industry to lead to successful development of international tourism, and started to promote the policy of converting a conventional factory into a tourism factory. It changed a conventional factory with industrial culture or tourism educational values into a unique factory for both learning and recreation. In this way, the recognition of industrial knowledge and local culture is deepened for people; in the meantime, it built the second coming for the conventional industries. The operational team of Li Kang Biomedical has been cultivating the tourism industry for a long period. The team knows very well of the difficult situation for the tourism factory that has been operating the service-based business with the mindset of manufacturing industry, hence we develop a business model for the tourism factory. This model is approved by the two tourism factories “Li Kang Cultural Hall for Chinese Herbs Industry” and “Li Kang Tourism Factory of Health and Regime”. It confirmed the obvious helpfulness to the performance in the parent enterprise. For this reason, Li Kang Biomedical hopes to assist the conventional company for who aspired to develop tourism industry, transform the industry from manufacturing into tourism successfully, and build another peak of the career. Li Kang Biomedical operational team established the after-sales service with several decades of experience in Chinese herbal medicine products. We can explain the questions to our consumers while using products that enhance confidence and satisfaction, but also accept phone order and home delivery that are compliance with the laws and regulations of Personal Information Protection. By providing the most convenient shopping way in this busy style of living, consumers can enjoy and purchase the products from the tourism factory without leaving home. Another development of Li Kang Biomedical is to establish the chain business of Chinese herbal medicine pharmacy based in promoting hygienic drinks. For the similar function of hygienic tea, the popularity rate is second only to the green tea drinks and freshly prepared tea beverages, and it is growing. To phase this product, Li Kang Biomedical decides to corporate with Chinese medicine pharmacy. We think highly of the specialty in the herbal medicinal materials and develop the hygienic tea drinks that are more specialized in Chinese herbal medicine than functional tea.